Our fancy was tickled by the inclusion of 59 acronyms in a recent report published in the tree sector. 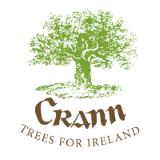 Readers of Crann should be able to figure out most of them but, be honest, how many can you actually solve? Note: our intention is not to drive anyone demented, so the answers can be found below – ENJOY! CAP, CCFRWG COFORD, CCLAWG COFORD, CHP, COFORD, CoFoRD, DAFM, DAHG, DARD NI, DBH, DJEI, EC, EI, EPA, ERANET, FAFB, FC, FIRM, FORI, FRM, FS, FTP, GHG, GDP, ha, IBEC, IFFPA, IforIS, IoT, IP, ITC, ITGA, JPI, KBBE, NHA, NRPE, NUIG, NUIM, QUB, R&D, REFIT, ROI, RPO, RSF, SAC, SEA, SEAI, SPA, SRA, SSTI, TCD, TTO, UCC, UCD, UL, UNFCCC, WBP, WFD, WIT. CAP Common Agricultural Policy, CCFRWG COFORD Council Forest Research Working Group, CCLAWG COFORD Council Land Availability Working Group, CHP Combined Heat and Power, COFORD Council for FOrest Research for Development, CoFoRD Programme of Competitive Forest Research for Development, DAFM Department of Agriculture, Food and the Marine, DAHG Department of Arts, Heritage and the Gaeltacht, DARD NI Department of Agriculture and Rural Development – Northern Ireland, DBH Diameter at Breast Height, DJEI Department of Jobs, Enterprise and Innovation, EC European Commission, EI Enterprise Ireland, EPA Environment Protection Agency, ERANET European Research Area Network, FAFB Food Agriculture Fisheries and Biotechnology, FC Forestry Commission, FIRM Food Institutional Research Measure, FORI FOrest Research Ireland, FRM Forest Reproductive Material, FS Forest Service DAFM, FTP Forest Based Sector Technology Platform, GHG Green House Gases, GDP Gross Domestic Product, ha Hectare, IBEC Irish Business and Employers Confederation, IFFPA Irish Forestry and Forest Products Association, IForIS Integrated Forestry Information System, IoT Institute of Technology, IP Intellectual Property, ITC Irish Timber Council, ITGA Irish Timber Growers Association, JPI Joint Programming Initiatives, KBBE Knowledge Based Bio-Economy, NHA Natural Heritage Area, NRPE National Research Prioritisation Exercise, NUIG National University of Ireland Galway, NUIM National University of Ireland Maynooth, QUB Queens University Belfast, R&D Research and Development, REFIT Renewable Energy Feed in Tariff, ROI Republic of Ireland, RPO Research performing Organisation, RSF Research Stimulus Fund, SAC Special Area of Conservation, SEA Strategic Environmental Assessment, SEAI Sustainable Energy Authority of Ireland, SPA Special Protected Area, SRA Strategic Research Agenda, SSTI Strategy for Science, Technology and Innovation, TCD Trinity College Dublin, TTO Technology Transfer Office, UCC University College Cork, UCD University College Dublin, UL University of Limerick, UNFCCC United Nations Framework Convention on Climate Change, WBP Wood Based Panels, WFD Water Framework Directive, WIT Waterford Institute of Technology.